The American Basketball Association (ABA) along with ABA Mexico has announced the first ABA Summer Slam Camp to be held in Campeche, MX July 30-August 4 as part of ABA Mexico's 2018 International Showcase that will feature teams from Mexico, US and Belize. Under the direction of Bobby Garcia, CEO of ABA Mexico and the Governor of Campeche, who has thrown his full support for the development of basketball in the area, there will be many levels of activity throughout the summer, with a particular emphasis on youth basketball. First one is the Fresno Flaming Sun-Rays, that have been added to the Far West Region of the league and will begin play in November. "We are very pleased to have Mattie Simmons and the Flaming Sun-Rays as part of the ABA. A very interesting person with a terrific background and a love for the game of basketball," stated ABA CEO Joe Newman . "I have no doubt she will be a success and Mattie joins a great list of over 25 ABA women team owners." "My goal is to embrace unity aligned with diversity," added Mrs. Simmons, "while bringing community together with the strength of basketball one game at a time." For more information, email fresnofsr@aol.com or call 559 345 5580 or visit www.abaliveaction.com. The second new team is Tampa Bay Fury "I have no doubt that this team will be successful," stated ABA CEO. "Its ownership group includes the current owners of the ABA Sarasota Manatees. Andre Spivey and Joscelyn Spivey have he experience and knowledge to maximize the potential of the great Tampa Bay market." For more information, email drespivey@gmail.com or visit www.abaliveaction.com. Just after the succesful 2018-19 seaosn ending, the American Basketball Association (ABA) announced that it has added some new teams for the upcoming 2019-2020 season that begins in November. First one is the Buckeye Show based in Columbus, OH "Columbus is a great city," stated ABA CEO Joe Newman , "and having an ABA team there is long overdue. In Terence Coley and Sekia Broomfield, we have owners with great experience on and off the court. We really expect the team to do well. Terence Coley is part owner and President of Basketball Operations. Sekia Broomfield is part owner and has been a Columbus business woman and hair stylist for 16 years and has operated several businesses successfully. For jmore information, email info@buckeyeshowbasketball.com, visit www.buckeyeshowbasketball.com or www.abaliveaction.com. Second one is the Philadelphia Raiders "We add quite a few teams every year," stated ABA CEO Joe Newman . "But the growth for next season is remarkable, over 30 new teams and there are quite a few more working. It is truly easier to own and operate an ABA team than any other. Owning an ABA team can be fun and profitable." The Raiders will be owned and operated by the husband and wife team of Leonard Keith Walker and Tamika Walker. For more information, call 207 243 3810 or email raidersabahoops@yahoo.com or visit www.abaliveaction.com. 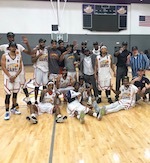 Third new team will be the San Jose Knights "We've had remarkable expansion for the upcoming season with several new teams in the Far West Region," stated Joe Newman . "And we are very excited to add Everson Lacerda (6'11''-C-86, college: St.Thomas, FL) and his team to the list. San Jose is a great city and I have no doubt that this team will be successful on and off the court. "Lacerda, originally from Brazil, graduated in business from St.Thomas University. His team won the Sun Belt Conference. 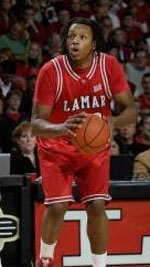 He also played for University of Pacific NCAA D1 Stockton CA and his team won the Big West Conference. Followed college, Lacerda played professionally for five years in Brazil NBB and is currently Food & Beverage Manager for Hotel Valencia and owns One Step Closer Basketball at which he provides basketball training and clinics. For more information, email eversonlacerda33@gmail.com or visit www.abaliveaction.com. Another new ABA team will be located in Sebring FL "The Southeast Division is one of the strongest in the ABA," stated ABA CEO Joe Newman . "And the addition of this team definitely makes it stronger. A great location, two great owners." The team will be owned by co-owners Dr. Tamika Sims and Raymond Hucks, Jr. For more information, email spynedoc@gmail.com or raymondhucksjr@gmail.com or visit www.abaliveaction.com.